Here is Quick Tutorial on How to turn your Android Phone into a WiFi Hotspot and internet sharing on your PC or on another WiFi enabled mobiles. Save your paying Money on Internet Connections. 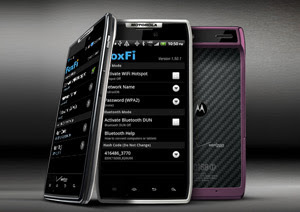 You can now turn your phone into WiFi Hotspot and share internet connection with other PC and WiFi devices with Foxfi App. 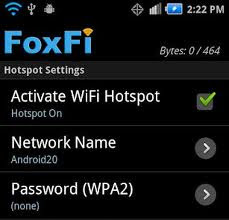 FoxFi can makes your Smartphone Wifi hotspot and you can access internet up to five devices including iPad, Kindle, Nook, Wii, Xbox etc. App also works with another mode known as Bluetooth mode which supports mostly phones such as Samsung, Motorola, LG Phones, Tablets. Firstly Free Download FoxFi Android App from Google Play Store. 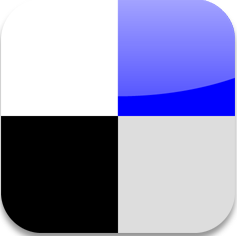 Install App on your mobile. Please be sure your Internet connection works then Click "Activate WiFi Hotspot" Check Button. Connect to display network names on your PC, Mac, iPad, Kindel and Game consoles like Xbox, PS3, Wii. Wait till it connects your Device to internet via. WiFi. Enjoy your one internet connection on multi devices. This is really amazing and cool App For Android mobiles.